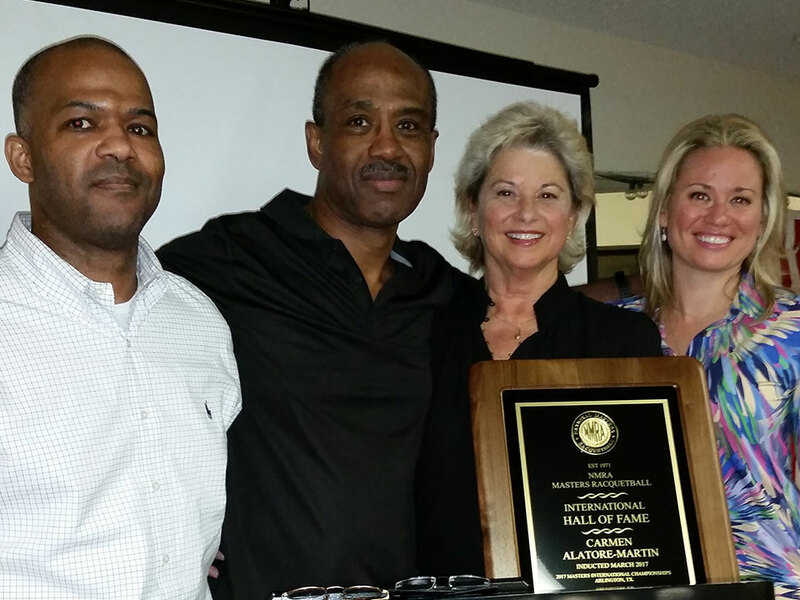 Surrounded by her family – son Quinton, husband Curtis and daughter Kristy – Carmen Alatorre-Martin was inducted into the NMRA Hall of Fame in March 2017. You can also see a re-cap of her career accomplishments (at about the 3-minute mark) on Leon Jackson’s banquet video. Photo: Bruce Adams.